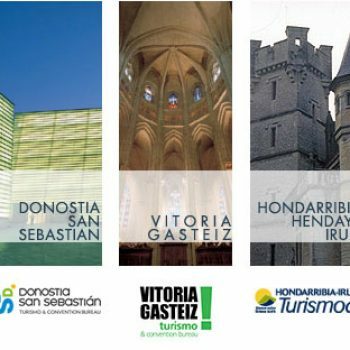 Basque Country Tourism, the best way to discover a small country with a great identity. From the avant-gardism of its cities to the tranquility of its coastal towns, this tourist proposal allows you to enjoy the essences of Euskadi. Basque Country Tourism is the association formed by the cities of Bilbao, Donostia / San Sebastián, Vitoria-Gasteiz, Zarautz and the two main towns of the mouthof the Bidasoa River: Hondarribia and Irun, forming the beautiful bay of Txingudi. Emblematic landmarks of a magical land that have united to welcome the travellerwith open arms and invite you to discover its history, nature and culture. And all of this, accompanied by its incomparable enogastronomy.